Home | Police and Security Training Resources 2008 | FEDERAL GRANTS and Funding For Police - Fire - EMT-EMS - Non-Profits - Agencies and YOU! | Special Report: Raising Money In Uncertain Times | Informative and Useful Links In Your Interest! FEDERAL GRANTS and Funding For Police - Fire - EMT-EMS - Non-Profits - Agencies and YOU! and Much, Much More is What USCCCN International, Incorporated is All About!! the Law in Your State? Mandatory Seat Belt Use is the Law in Many States with Police Traffic Tickets and Fines Assessed for Drivers Not Buckling Up! Under Certain Accident Conditions, Using Those Same Seat Belts Can Be Hazardous to Your Health, Safety, Your Very Survival and the Survival of Your Family Members and Other Passengers! Is That Car USED or USED? Click on the Graphic Link Below! Regardless of Who You Are, Your Race, Color, Creed, Place of Birth or Origin, or Religious Affiliation or Personal Belief... 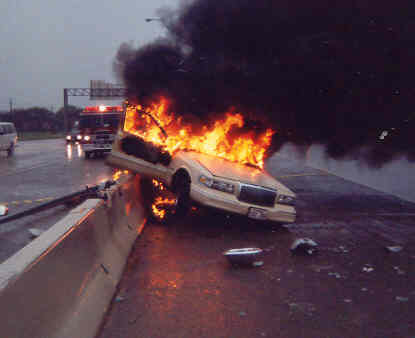 If you operate an automobile anywhere on earth, your vehicle's Seat Belts may Save Your Life! 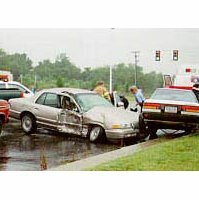 But, in an accident, the same vehicle seat belts that can possiby save your life ... can also hinder you from escaping a vehicle with your life, especially if your vehicle is engulfed in flames, submerged in water or heavily damaged ... because you may not be able to break free from your vehicle's jammed seat belts and get out! Seat Belts in your vehicle are very important if you use them, and can save your life in some accidents, but if you don't have at least 1 LIFE HAMMER in each of your vehicles, your personal safety, the safety of your family, and/or the safety of your passengers can and will be AT RISK! unit(s) Right From This Website! 2. Without Warning - You are Involved in a Serious Accident! 3. Your Seat Belts are Jammed ... and You're Trapped! 4. The Doors are Jammed ... and You're Trapped! 5. Your Vehicle May Be Overturned ... and You're Trapped! 6. You Smell Gasoline or Smoke or See Fire! 7. Water May Be Filling the Passenger Compartment! 8. Your Only Escape May Be Climbing Through the Window! 8. You Use LIFE HAMMER's Steel Tip to Break The Window! 9. You Climb Out To Safety Before Real Disaster Strikes! 10. If You Have Passengers - You Can Save Their Lives Too! LIFE HAMMER HAS SAVED YOUR LIFE!! Without Warning - This Hypothetical Situation Could Happen To You, a Passenger in Your Vehicle, a Family Member or a Relative, a Co-Worker or Friend! It Happens EVERY Day! Is Your Life, the Lives of Your Family Members or Other Passengers Important Enough to Have At Least ONE LIFE HAMMER In Your Automobile? Do You Think That You, or A Family Member, or A Friend, or A Relative, or A Fellow Employee, or Just Someone You Know Might NEED A LIFE HAMMER, Today or Tomorrow? Order One For Them Too! If Your Police Cruiser, EMS / EMT Ambulance or Work Vehicle, Your Emergency Response Vehicle, Fleet Vehicle, School Bus, Your Own Car or SUV, Your Wife or Husband's or Son or Daughter's Car, the Taxicab or Limousine You Ride In, or Your Own Vehicle is Equipped with Seat Belts and You Use Them, You Also NEED At Least ONE LIFE HAMMER Too? ... and Spread The Word to Others! It's About Helping to Save Lives...At A Time When You Need Help and Life Saving Tools The Most! 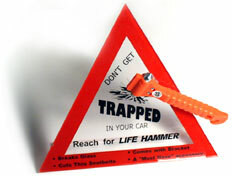 LIFE HAMMER CAN SAVE YOUR LIFE! Order Your LIFE HAMMER(s) Today! You May Need LIFE HAMMER To Save Your Life! Don't You Think That You Should Have At Least 1 LIFE HAMMER? Click Here and Request LIFE HAMMER Pricing and Purchasing Instructions. The Price of 1 LIFE HAMMER, Delivered, is Only $29.95 Prepaid! Quantity Discounts Are Available For Multiple Unit Purchasing, Fund Raising and Dealer Resale. Simply Tell Us in Your E-mail Message How Many You Want and We Will Make You An Offer You Can't Possibly Refuse! You Say That You Only NEED 1 LIFE HAMMER Unit Complete with Mounting Bracket Right Away? CLICK HERE to Order LIFE HAMMER By Check, Money Order or Credit Card. Order Yours Now! Overseas Purchasers: Please CLICK HERE to E-mail USCCCN International, Incorporated and Tell Us How Many LIFE HAMMER unit(s) You Need and Provide Us With Your Complete Mailing Address. We Will Advise You of Your Order Total Including Shipping Costs and Delivery Schedule. Opening the window allows water to come in and equalize the pressure. Once the water pressure inside and outside the car is equal, you’ll be able to open the door. 2. 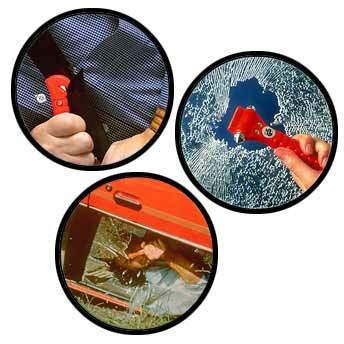 If your power windows won’t work or you cannot roll your windows down all the way, attempt to break the glass with your foot, shoulder, or a heavy object such as an antitheft steering wheel lock, or a LIFE HAMMER! 3. Get out. Do not worry about leaving anything behind unless it is another person. Vehicles with engines in front will sink at a steep angle. 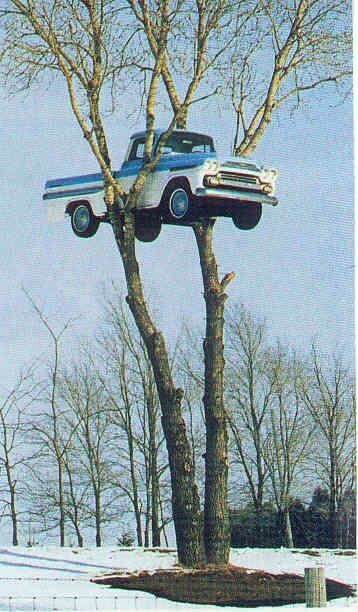 If the water is fifteen feet or deeper, the vehicle may end up on its roof, upside down. For this reason, you must get out as soon as possible, while the car is still afloat. 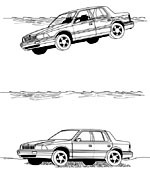 Depending on the vehicle, floating time will range from a few seconds to a few minutes. The more airtight the car, the longer it floats. Air in the car will be quickly forced out through the trunk and cab. An air bubble is unlikely to remain once the car hits bottom. Get out as early as possible. 4. If you are unable to open the window or break it, you have one final option. Remain Calm and Do Not Panic! Wait until the car begins filling with water. When the water reaches your head, take a deep breath and hold it. Now the pressure should be equalized inside and outside, and you should be able to open the door and swim to the surface. A Michigan woman working for a major corporation as an accountant, got a request via e-mail from someone billing himself as a Nigerian dignitary needing her help to effect the recovery and transfer of $180 million dollars. All she had to do was to provide him with a telephone number, and a fax number ,and she also had to set up a bank account in her name at a bank in the United States for the successful transfer of the money into her account, for which she would earn a seeming king's ransom as her commission, for her time and effort. But, first, she needed to provide this unknown gentleman with advance funds to help him pay some bribes and necessary fees. So, pay she did...from her personal account and her Corporation's bank account! Now, as a result, she is out of her own personal investment and has also been accused of embezzling more than $2 million dollars from her employer between February and August of 2002 to finance the scheme. She innocently and honestly planned to pay it back to her corporate employer when she received her promised $20.5 million from her Nigerian business partner. Of course, she never got a cent! She had simply fallen for one of the most common scams on the entire Internet, THE NIGERIAN 419 SCAM. Don't Be The 419 Scammer's Next Victim! See the Following Site -- It IS Just THAT Important! 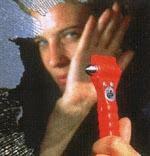 CLICK HERE For Personal and Home Safety Products! Check Back Often, as We Are Continuously Under Construction! Advertise Your Home Pages and Web Sites HERE! Get more exposure and increase your sales Now!! Your URL will be added to Entireweb's premier search index within 48 hours. Your URL will be refreshed every 48 hours for a 12 month period. Higher positioning and placement throughout Entireweb network. Entireweb now provides more than 150 Million searches per month !! CLICK HERE or on THE HAND BELOW! Available Now For ALL Law Enforcement ONLY! Terrorism and tactical violence incidents are first and foremost a crime. This means that law enforcement agencies are directly involved in every aspect of the terrorism response continuum. Law enforcement has the responsibility of crisis management (use of intelligence information and planning to prevent/interdict terrorism) and consequence management (emergency measures during an evolving terrorism / tactical violence incident). 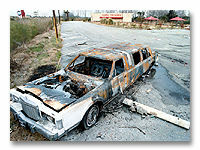 In essence, law enforcement is usually the first agency to arrive at a terrorism incident and the last agency to leave. Investigations and evidence collection can take several months (or years). The judicial trial and appeals process may require another half decade of effort before the "case is finally closed." Terrorism and tactical violence incidents present a myriad of challenges for the law enforcement officer. First, officers will confront a violent, dangerous, and unstable scene that can kill them. Secondly, officers may face new chemical, biological, and radioactive threats with little (or no) protective equipment or training. Lastly, a successful attack will result in mass casualties and multiple fatalities. This requires that officers provide adequate support to EMS, fire/rescue agencies, public health, and hospitals. The purpose of the TERRORISM RESPONSE pocket guide with its Bioterrorism CD-ROM is to provide a quick reference of law enforcement consequence management responsibilities during a terrorist attack. Most importantly, it is a safety guide to help officers survive. The TERRORISM RESPONSE Field Guide with its Bioterrorism CD-ROM provides the basic information necessary for every officer when combating terrorism. It includes information on chemical, biological, radiological, explosives and cyber-terrorism as well as response procedures, decontamination, and crime scene operations. This field guide details all of the essentials responders "need-to-know" in a terrorism response situation. Key Topics: Comprehensive and complete it details chemical, biological, radiological, and cyber-terrorism and explosives and the appropriate response procedures for each of these terrorism and tactical violence incidents. Also included is a discussion of the Incident Management System and a Quick Reference Guide for Hazard Zones, Incident Threat Response, SBCCOM Guidelines, NIOSH Interim Recommendations, and more. 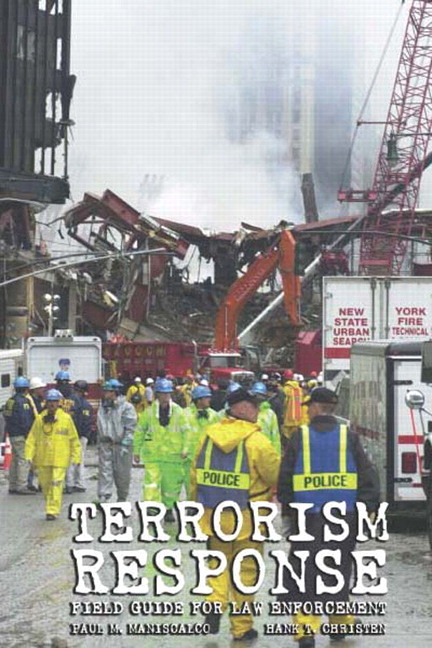 Market: This is an ideal resource on terrorism training for all Law Enforcement professionals. 1. The Basics of the Incident Management System. 2. Response Procedures for Terrorism and Tactical Violence Incidents. 3. Weapons of Mass Effect - Chemical Terrorism. 4. Weapons of Mass Effect - Biological Terrorism. 5. Weapons of Mass Effect - Radiological Terrorism. 6. Weapons of Mass EffectExplosives. GUIDE FOR EXPLOSION AND BOMBING SCENE INVESTIGATION. 7. Weapons of Mass EffectCyber-Terrorism. BEST PRACTICES FOR SEIZING ELECTRONIC EVIDENCE. SBCCOM Guidelines for Responding to a Chemical Weapons Incident. Hazard Zones As Defined in the 2000 DOT Emergency Response Guide. SAMPLE BW ADVISORY TO LAW ENFORCEMENT. NIOSH Interim Recommendations for the Selection and Use of Protective Clothing and Respirators Against Biological Agents. Terrorism With Ionizing Radiation General Guidance. How to Use an Auto-Injector. CSEPP Recommended Guidelines for Antidote Treatment. Defense Protective ServiceNBC Indicator Matrix. Material Safety Data SheetsChemical Agents SBCCOM.
" American policing has been preparing to effectively deal with terrorism and weapons of mass effect for a very long time. But in the post September 11th world, our educational and training efforts must be significantly enhanced. This field guide has emerged as the best educational tool on the market. Every police officer should leave with a copy in their duty bag for a quick on-scene reference. " " A succinct, well organized first responder guide for our thin blue line. It is practical information in an easy to read and understandable format. I would rate it a "must have" for every officer." "The authors have scored again with a comprehensive guidebook that no field officer or commander should be without. Drawing on their extensive experience and expertise in planning for and actually managing some of the worst terrorist incidents, the authors provide an indispensable tool to deal with them. " " Terrorists have years to plan their acts of violence, whereas, law enforcement has only minutes to respond and seconds to make the right decisions. Terrorism Response: Field Guide for Law Enforcement provides a logically displayed, quick reference for taking the correct responsive action. I highly recommend that every law enforcement officer carry one on duty. " " In the demanding and changing world of public safety this field guide is a must read for all public safety officers. It goes beyond the response to terror and addresses on the scene crises management procedures in a clear, concise manner. 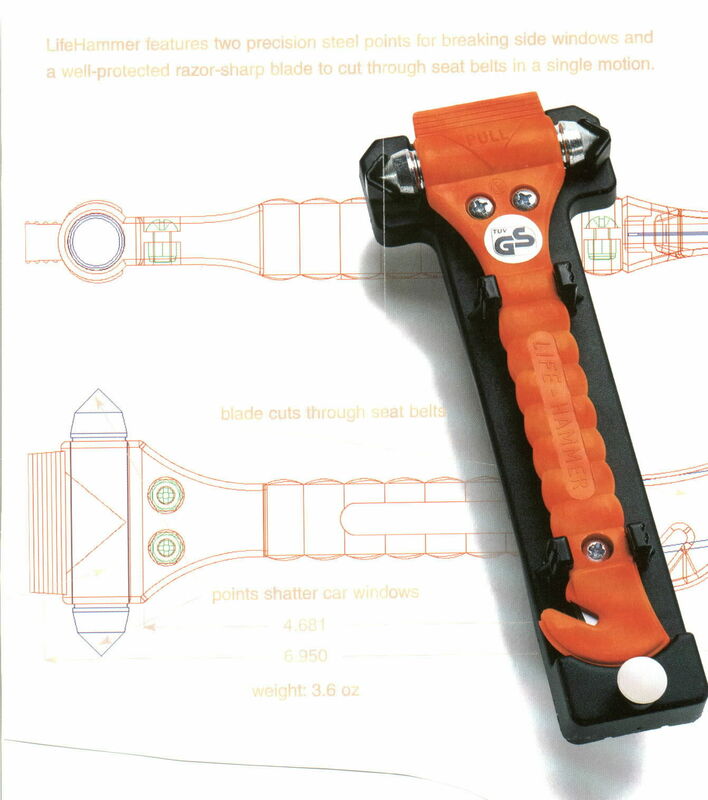 It is a great tool for the working officer." To Purchase Copy(ies) of TERRORISM RESPONSE, including its BIOTERRORISM CD-ROM ... E-mail amerfocus@aol.com and request restricted purchasing instructions. 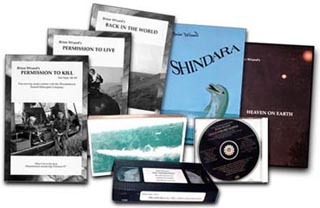 Because of the price of the Book and CD-ROM set, please consider purchasing multiple copies of TERRORISM RESPONSE for all key personnel in your agency., including your training officer and librarian. USCCCN International, Incorporated is committed to protecting your privacy at all times. The information you provide is utilized for the sole purpose of fulfilling your product order and is neither sold nor disclosed to other vendors.